Room 1 is so much fun!!! 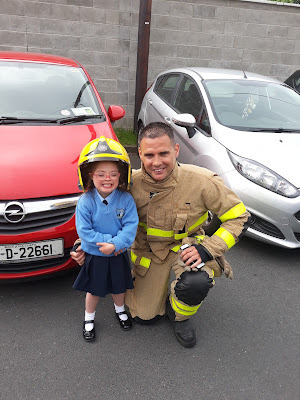 : People who help us! 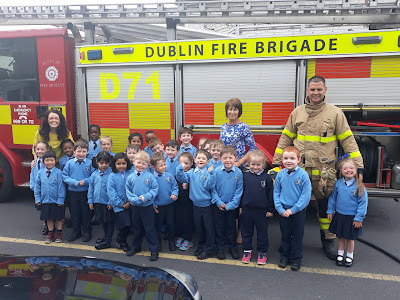 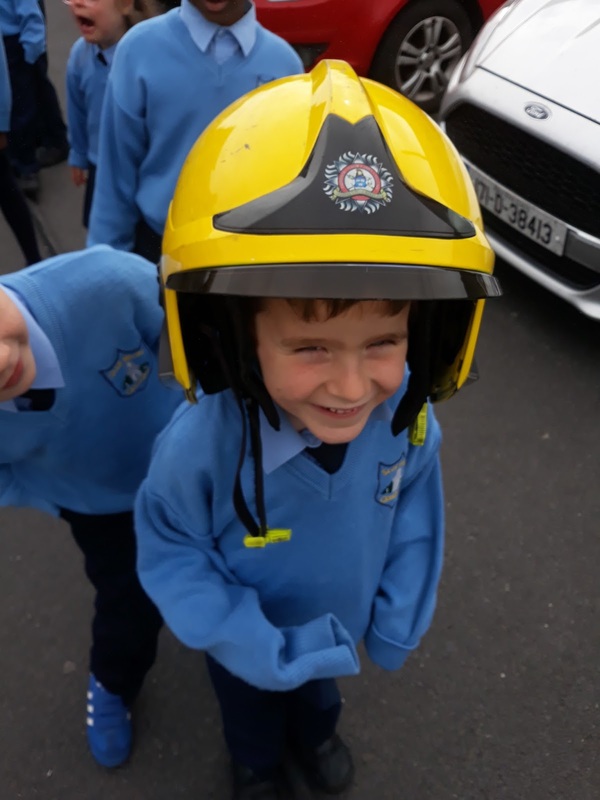 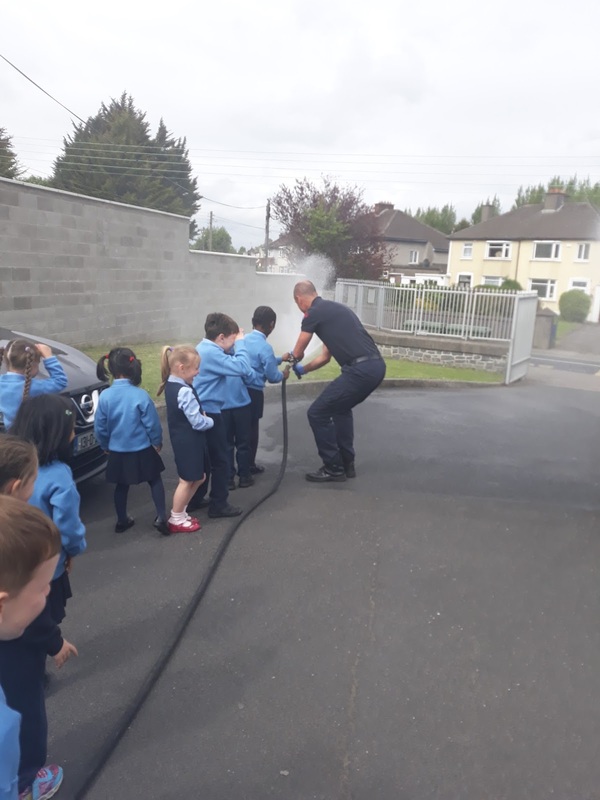 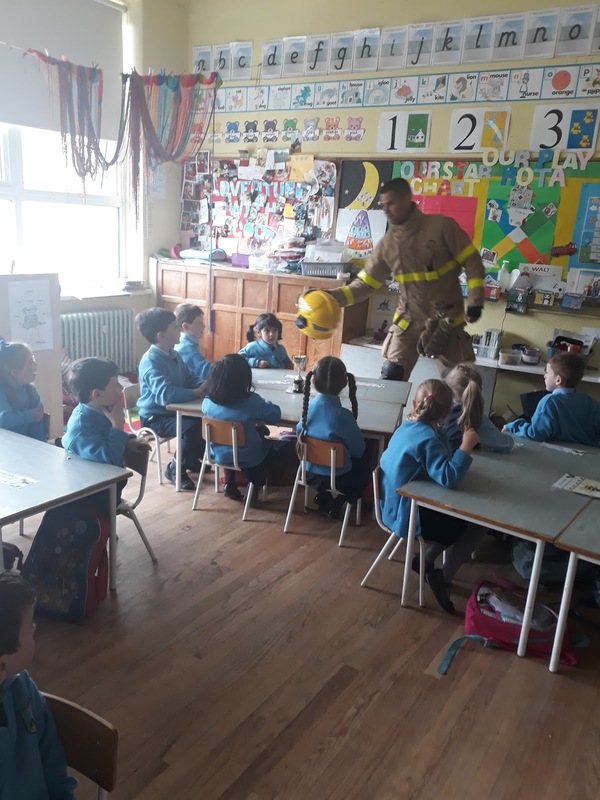 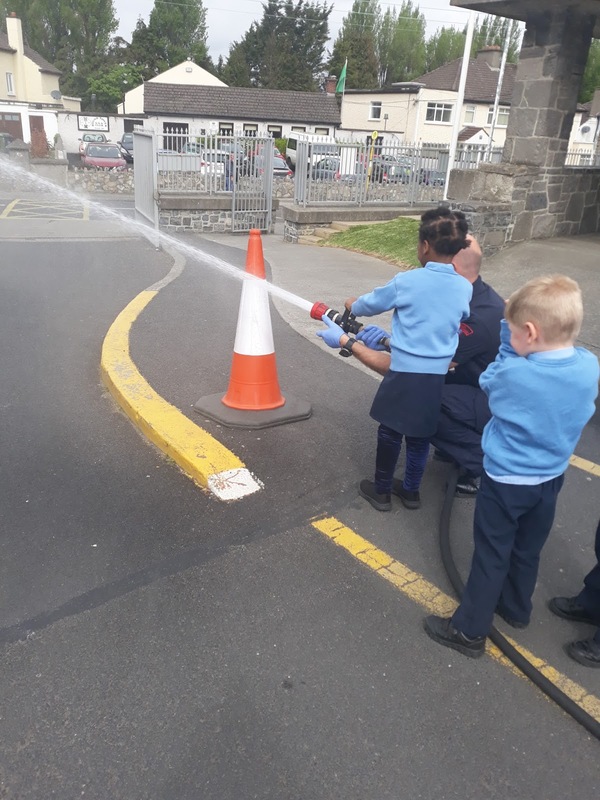 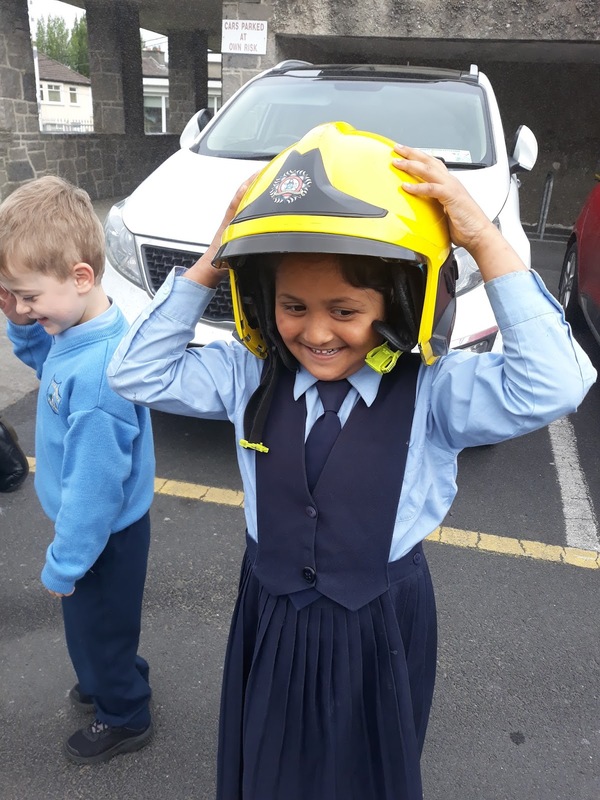 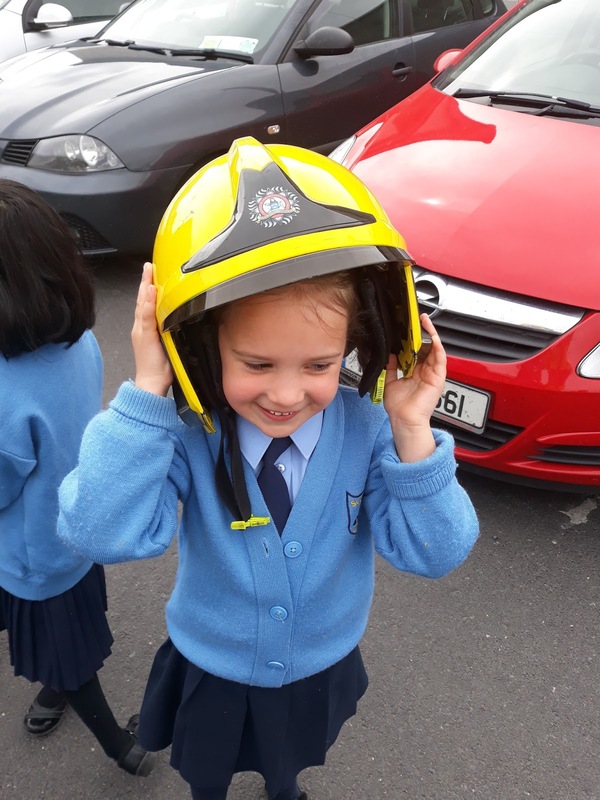 In the month of May, we are learning all about our environment and people in our environment that help us such as the postman, doctor, nurse, gardaí, firefighters and many more. 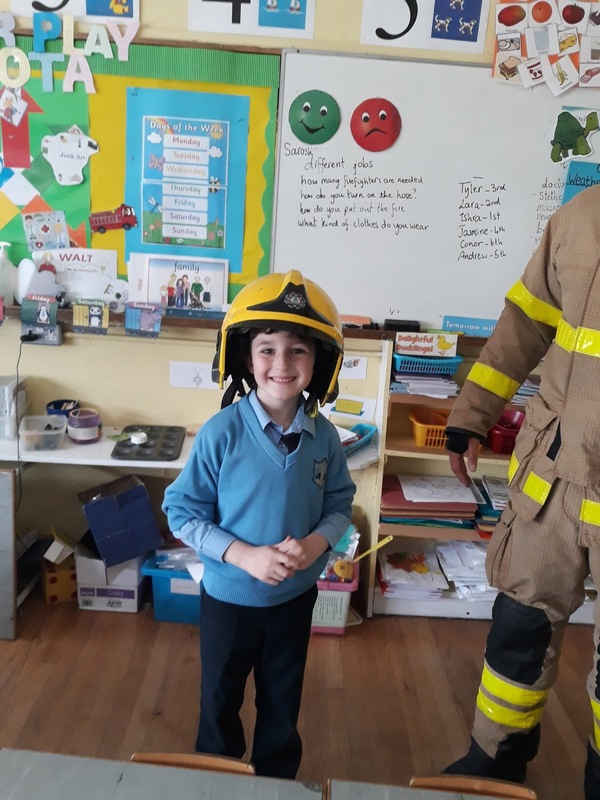 We had a special visitor who came in to see us today-he's a firefighter. We were very lucky in Room 1 to have Lara's dad come in to visit us. 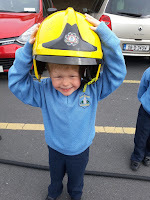 He works as a firefighter and a paramedic.. He wore his uniform and told us all about the different jobs he has to do each day-he even brought in the fire engine. 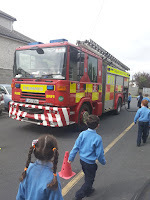 There was great excitement in Scoil Mhuire today. 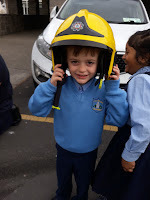 We asked him lots of questions and we now know how important it is to stay away from things like matches, candles and lighters. 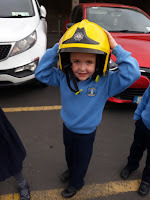 He told us the very important number that we need to ring if we are in danger-999! It's also very important that we know our address in case we ever need help from the fire or ambulance services. 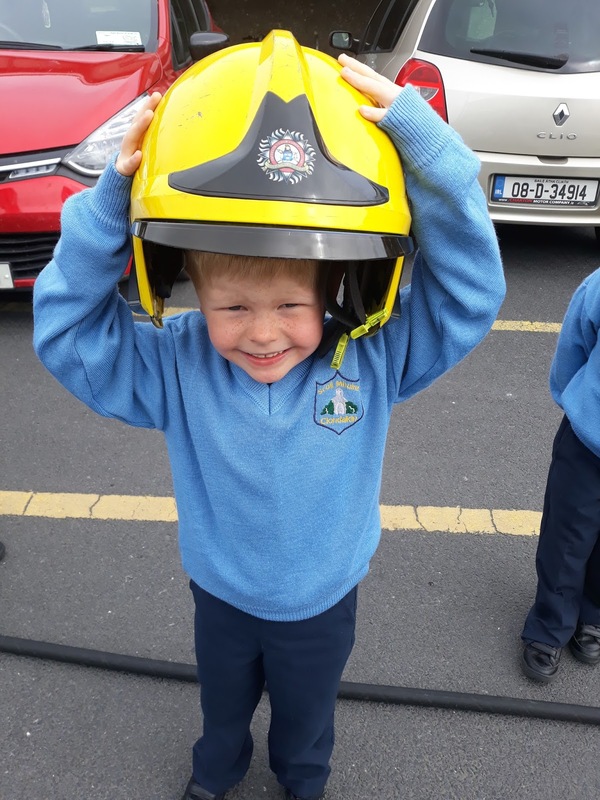 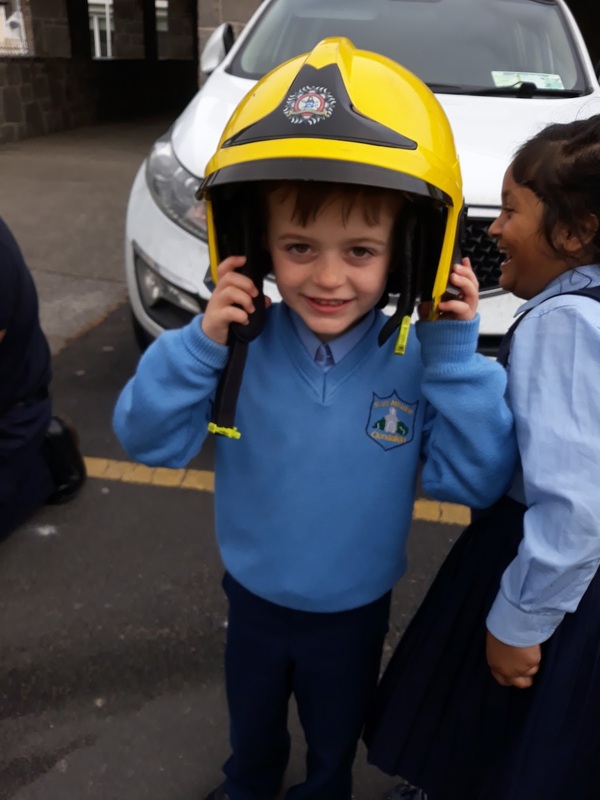 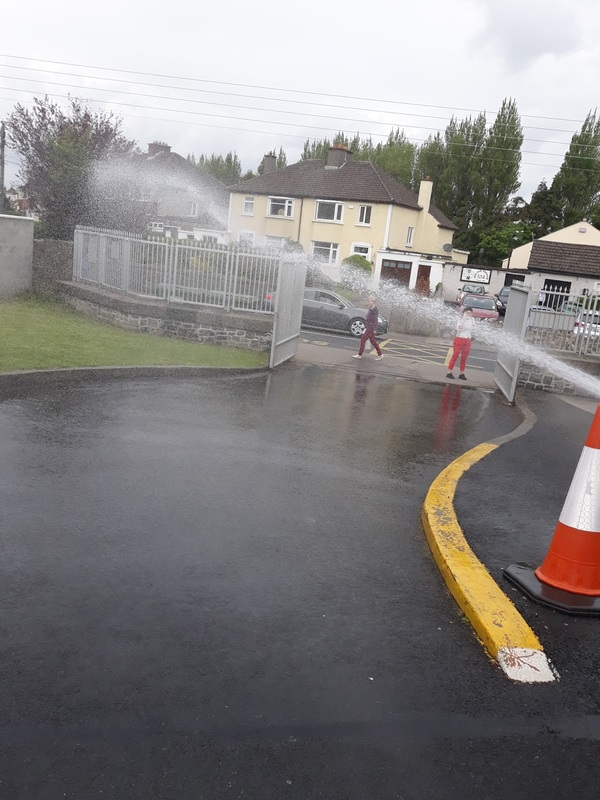 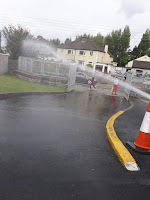 Have a look at the eventful day we had in Junior Infants......we were very lucky to wear the hard hat and we each got a turn to spray the power hose. We sang a song called 'I am a Firefighter'. 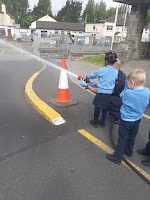 We have been practicing really hard.